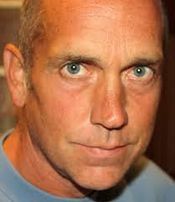 Tim Fargo is an executive, author, investor and speaker. Fargo is best known for co-founding and growing Omega Insurance Services. He currently serves as the President of Hammerfest Corp. and is the author of Alphabet Success. He has been featured or published in The Los Angeles Times, St. Petersburg Times, Business Insurance, Claims Journal and Claims magazine. He holds a degree in business from the University of Miami. Fargo wrote Claimants. Lies and Videotape - A Claim's Handler's Guide to Surveillance, which outlined the proper use of investigations in detecting and documenting insurance fraud. He has spoken on investigative techniques worldwide. He has also run an event marketing company, a software company, and is an adviser and investor to several start-up and early-stage companies. Fargo and his partner co-founded the business in 1996 and he served as President of the company. He grew this investigative business from a three person operation to over 300 employees and in excess of $20 million in revenue in seven years. The company was listed in Inc. magazine's Top 500 Fastest Growing Companies during 2002 (#92) and 2003 (#255). He sold the company in 2003. ^ "Do Your Homework in Choosing the Right Person for the Job" Los Angeles Times. Retrieved 2014-10-6. ^ "High-Tech Hiring" Florida Trend. Retrieved 2014-10-6. ^ "Book Review: Alphabet Success" Life On Purpose. Retrieved 2014-10-6. ^ "Fraud Investigator Not Surprised with Accenture Report" Claims Journal. Retrieved 2014-10-6. ^ "Getting the Most from Outside Investigations" Claims. Retrieved 2014-10-6. ^ "Flimflam cam" St. Petersburg Times. Retrieved 2014-10-6. ^ "Hunting down comp fraud pays off for Maine insurer" Business Insurance. Retrieved 2014-10-6. ^ "Prices, Hard Market Spur Comp Fraud" Property Casualty 360. Retrieved 2014-10-6. ^ "First Advantage Buys Omega Insurance Services" Insurance Journal. Retrieved 2014-10-6. ^ "St. Petersburg See a New Dawn" Maddux Report. Retrieved 2014-10-6. ^ "Omega Insurance Services" Inc.. Retrieved 2014-10-6. ^ "Screening company sniffs out new deal" St. Petersburg Times. Retrieved 2014-10-6. This page was last modified on 7 October 2014, at 18:42.